ALHAJI YUSUF ADEBAYO IBRAHIM Born in 60s. From Oyo state, a highly motivated and resourceful executive that has made very significant contribution in the management of resources, human and material in every office he occupied, with proven competency in implementing policies to successful completion. A strategic thinker with multi-tasking competence in seeking out ways to improve processes and streamline operations in the work environment of the public sector an astute administrator evidence of this is that he is a member of Nigeria institute of management, fellow certified Board of Administrators, fellow institute of operations management. He heads personnel policy Management and Finance department from 2011 to Date. Wali Alhaji Gana is from Borno State. He graduated from the University of Maiduguri in 1995. To undertake and coordinate research activities into all functions of the Commission. Conduct a wide range of practical research with a view to providing inputs and guidelines for immediate and long term policies formulation in the Commission. Conduct Studies on the impact of existing policies and programmes for the Commission and recommend adjustments where necessary. Research into the internal organization and operational modalities of the Commission. Relating with relevant agencies outside the Commission on research and statistics matters. Zakariyau Tanimu Muhammad, a 2006 graduate of Electrical and Computer Engineering from Federal University of Technology Minna after which he acquired Master in Computer Science from European University Cyprus. Amongst his work experience was as a classroom teacher for over 7 years, Head of IT department in Alif Maintenance Solutions for 2 years, Assistant project manager in Aisha Educational Services Limited (AESL) in Minna, Niger State. He was also the Head of IT tech support in All Progressive Congress (APC) Data Center, Abuja from 2014 to 2016. Born in Minna, Niger State in the early 80s, he is a lovely father married with a wife and 3 kids. Developing and maintating IT infrastructure and equipment in the Commission. Mallam Ahmad Imam Sa’ad was born in 1963 in Mubi Local Government Area of Adamawa State of Nigeria. He first of all attended Quranic School before enrolling into the primary school at the tender age of seven (7) that was precisely in 1970. 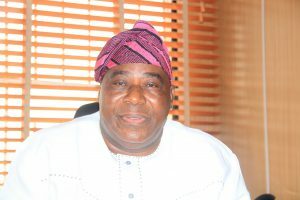 He thereafter proceeded to secondary school education from 1981 – 1985 where he obtained his grade two teachers’ certificate in 1985. Same year he gained admission into the University of Maiduguri to read Diploma in Arabic and Islamic studies from 1985 – 1987 upon successful completion of his Diploma, he taught for a short-while at Federal College of Education, Yola for two years before moving to Adamawa State College of legal studies, Yola where he eventually got admission to undergo programme in Arabic from 1989 – 1994. Upon completion of his degree, he went back to his teaching appointment with the College of Legal Studies. He successfully completed his Masters in 2010 and thereafter became the Head of Arabic Department. In 2008, he was called upon on secondment as the special assistant (SA) – technical to the Chairman/CEO of National Hajj Commission of Nigeria (NAHCON) the position he held until 2012 when he eventually transferred his service to NAHCON. He has worked at Yola Zonal office before being redeployed to the Headquarters in 2018. Writing, publishing and distribution of enlightenment materials such as manual, pamphlets, leaflets etc. To formulate and implement relevant policies of pilgrims orientation and enlightenment. The Information and Public division was created in June 2018, from the former media section in the Office of the Chairman aftermath of the re-structuring exercise in the Commission. It comprises of three sections, Information and Publication, New Media and the Broadcast section. These sections are further divided into four sub-units which are: Print and In-House publication, Radio, Television and New Media Units. The Division is under the Department of Planning, Research and Statistics, Information and Library Services. Production and monitoring of twin programme of AS YOU ANSWER THE CALL as well as HAJJ A SPIRITUAL JOURNEY on the Network of FRCN. Aisha Umar Magaji holds a BSc in Library and Information Sciences from Bayero University Kano. A member of Nigerian Institute of Management (chattered)(NIM), member of (NLA) Nigerian Library Association (FCT Chapter), member of women Librarian in Nigeria (AWLIN) FCT Chapter. Currently working with National Hajj Commission of Nigeria as Liberian 1. She is a native of Yola in Adamawa State, married with three children, speaks Hausa, Fulfulde and English. Library Services: is a Division under Planning, Research Statistics Information and Library Services Department. The Library was created on 2008 under the Supervision of the Former Commissioner Sheikh Saleh Orenwa. The division has 2 units with 3 staff and empress of the analog and the digital which will soon be functional. Select appropriate material for the library. Analyze and organize collections by subject. Provides indexing and abstracting services to the users to save their time. Keep current on resources and literature. Select publication for the library’s collections. Digitizing collections for online access. Educate individuals on how to use the library systems to find the information they need. To provide reference services to the users by telephone, by post or email. To give current awareness service (CAS) regarding new arrivals and latest services to the users. To provide internet as well as internet facility to the users in order to access the library collection and catalogues at their desktop. To compile bibliographies (like minute of all meeting) union catalogues, documentation lists, newspaper clippings, accession list etc. to save the time of the users.